March 21, 2018, Grand Rapids, MI. 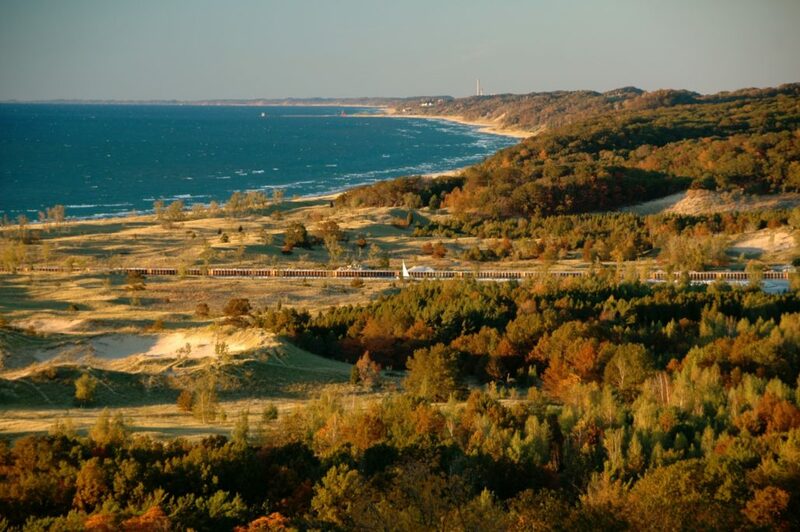 The West Michigan Environmental Action Council (WMEAC) and the Michigan League of Conservation Voters (MLCV) have gathered the support of over a dozen statewide and regional organizations as co-signers on a letter to the Army Corps of Engineers (ACE). 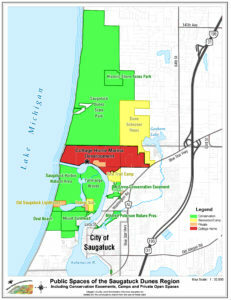 The letter implores ACE to deny any permits for the applicant seeking to excavate 150,000 tons of sand from the Saugatuck Dunes at the mouth of the Kalamazoo River in order to create a harbor channel and boat basin in Critical Dunes adjacent to the Saugatuck Dunes State Park. ACE received the application in October and has not finished its review or issued a decision. It has previously insisted on a proper and thorough Archaeological study of the property which is suspected to be sitting atop the buried town of Singapore and Native American tribal sites. Joining WMEAC and MLCV in signing the letter to ACE are: Great Lakes Environmental Law Center, Michigan Environmental Council, FLOW: For Love of Water, Environmental Law & Policy Center, former State Senator Patricia Birkholz, Freshwater Future, Michigan Audubon Society, Clean Water Action, Saugatuck Dunes Coastal Alliance, Sierra Club-Michigan Chapter, Lone Tree Council, Michigan Historic Preservation Network, Kalamazoo River Protection Association, and Preserve the Dunes, Inc.
“To have over a dozen others sign this letter to the Army Corps of Engineers in support of this vital dune property in the heart of Saugatuck is testament to the critical importance of upholding local and state laws as they pertain to development in threatened and protected areas along our priceless lakeshore,” said WMEAC Executive Director, Bill Wood. ACE has not given any indication of when they will complete their review of the plans for a harbor channel and boat basis. A copy of the letter to ACE is attached. West Michigan Environmental Action Council (WMEAC) has been West Michigan’s preeminent resource for environmental education and advocacy since 1968. Celebrating its 50th Anniversary this year, WMEAC was founded by a diverse group of concerned citizens and organizational stakeholders, WMEAC is a non-profit, 501C3 organization uniquely positioned to respond to emerging issues and new threats to West Michigan’s natural and human ecologies, strategically focused on building sustainable communities and protecting water resources. 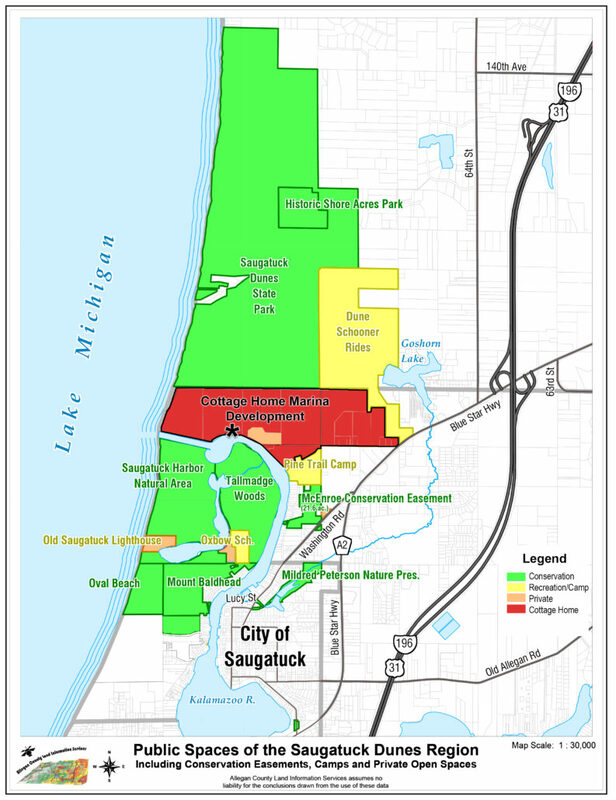 Our service area includes the eight-county West Michigan region: Allegan, Barry, Ionia, Kent, Montcalm, Muskegon, Newaygo and Ottawa, with primary emphasis on the Grand Rapids, Holland and Muskegon metropolitan areas.http://www.wmeac.org. Michigan League of Conservation Voters is Michigan’s non-partisan political voice for land, air and water. Visit our website: http://www.michiganlcv.org.